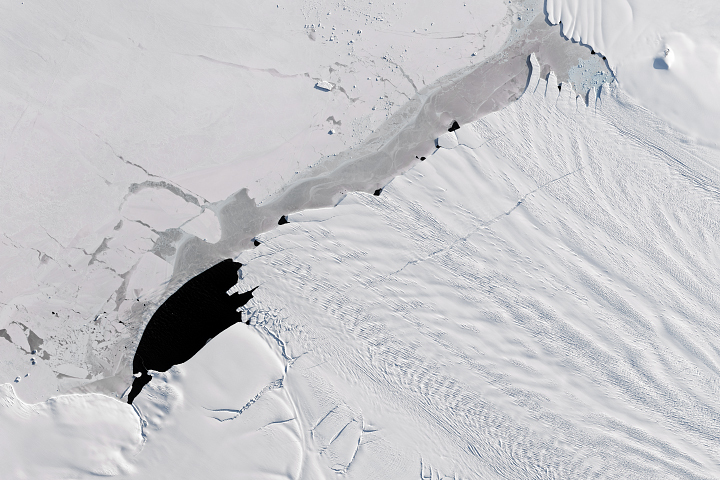 Scientists have long been tracking the retreat of Pine Island Glacier, one of the main outlets where ice from the West Antarctic Ice Sheet flows into the ocean. 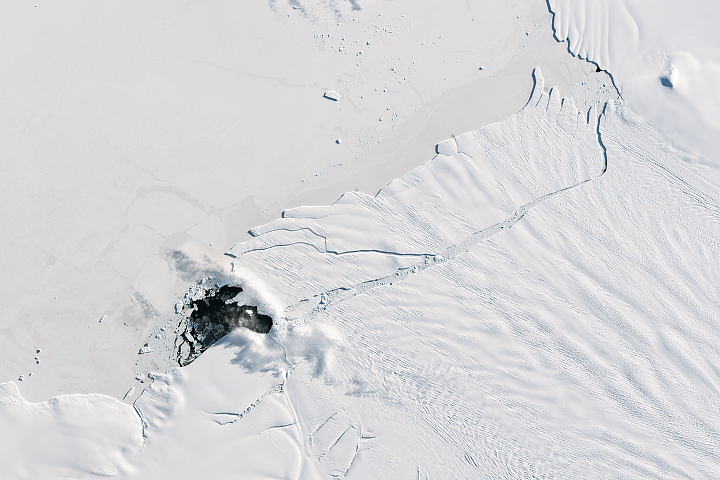 Attention recently turned once again to the glacier when it calved a large new iceberg, named B-44. Just weeks later, the berg has broken apart. 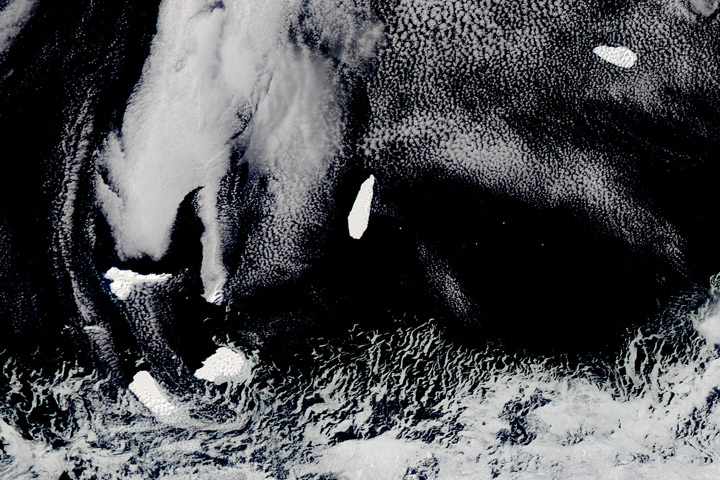 Radar imagery captured by the European Space Agency’s Sentinel-1 on September 23, 2017, showed an early view of the new iceberg. 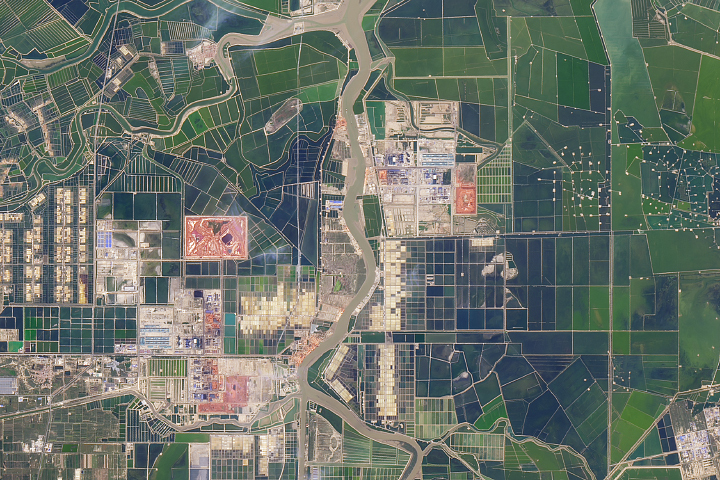 That image was followed by a natural-color view (top) captured on September 28 by the Operational Land Imager (OLI) on the Landsat 8 satellite. 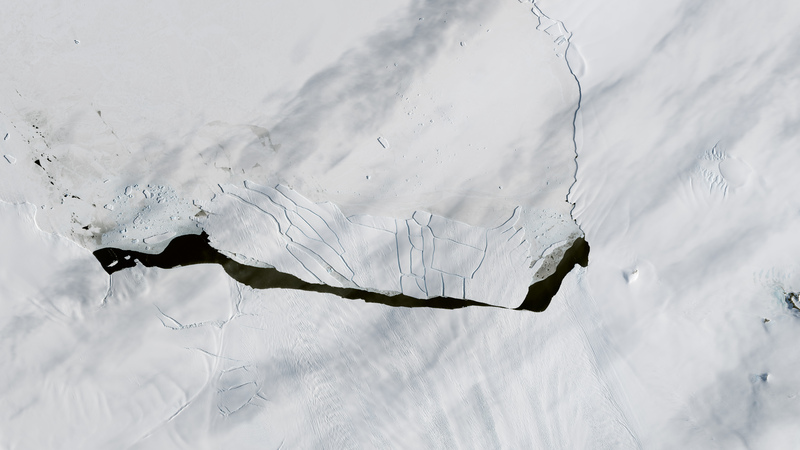 The iceberg measured 28 kilometers long and 9 kilometers wide, with a total area of 185 square kilometers (72 square miles). 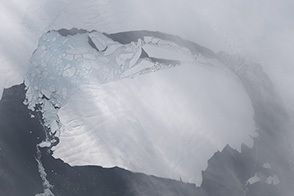 About one month later, on October 23, Landsat 8 captured another image and showed that the iceberg had fractured into more than 20 smaller bergs. Turn on the image comparison tool to see B-44 disintegrate. 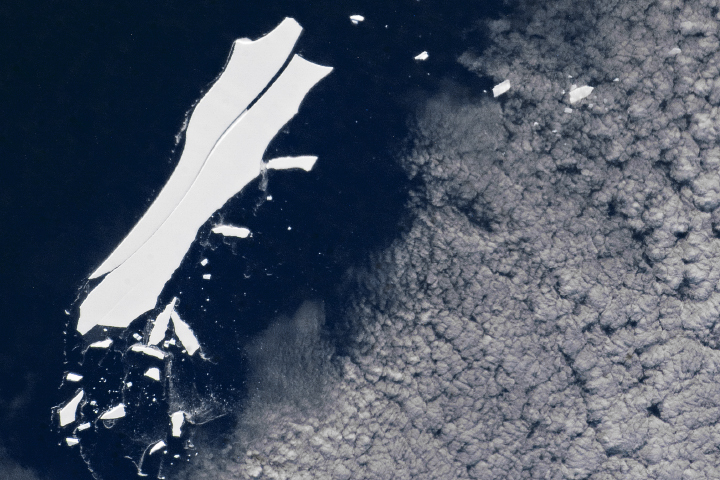 None of the fractured pieces are large enough to be named and tracked by the U.S. National Ice Center, which has removed B-44 from their table of tracked bergs. 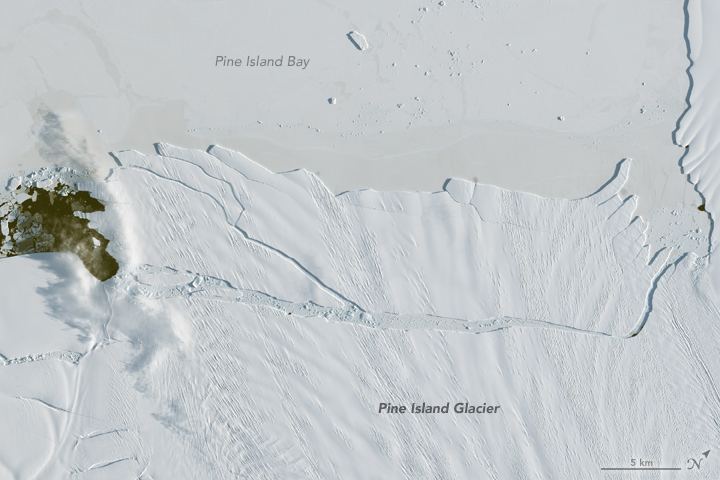 In just a month, a large iceberg from Antarctica’s Pine Island Glacier has disintegrated. 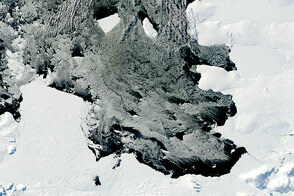 The glacier is one of the main pathways for ice entering the Amundsen Sea from the West Antarctic Ice Sheet, and is one of the fastest-retreating glaciers in Antarctica. 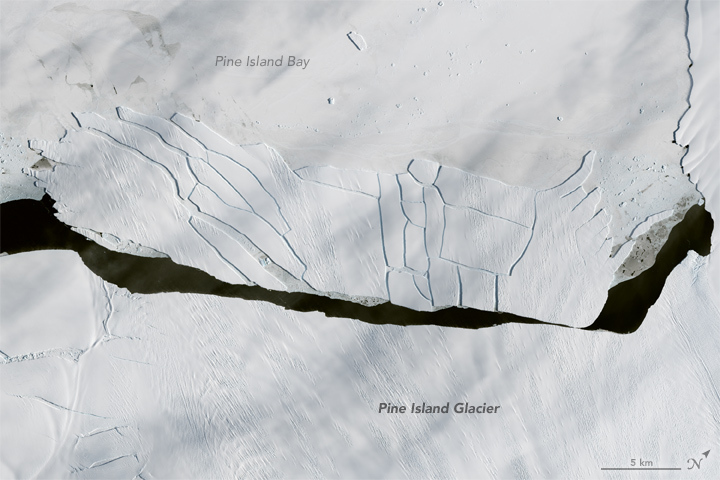 NASA Earth Observatory (2017) Growing Rift on Pine Island Glacier. 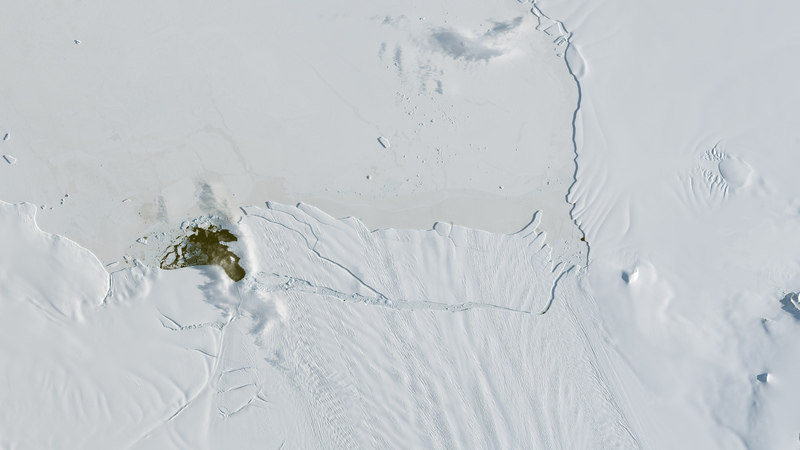 NOAA National Ocean Service, What is an Iceberg? Accessed October 27, 2017. U.S. National Ice Center (2017, October) Products. Accessed October 27, 2017.